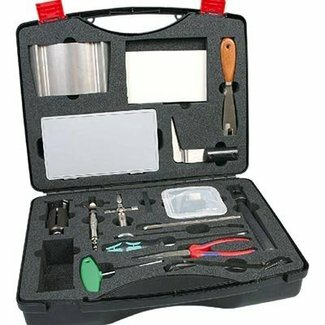 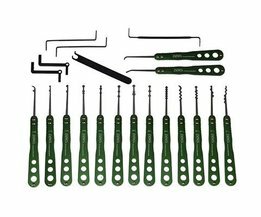 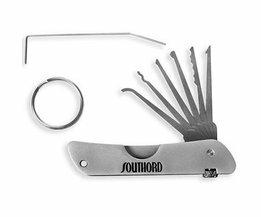 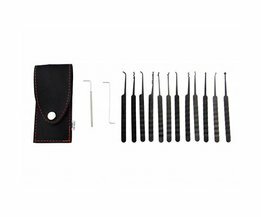 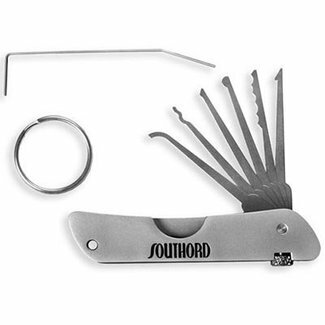 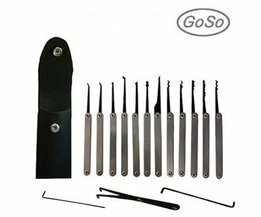 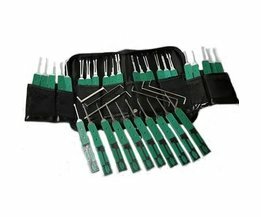 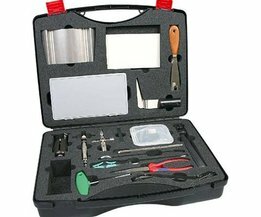 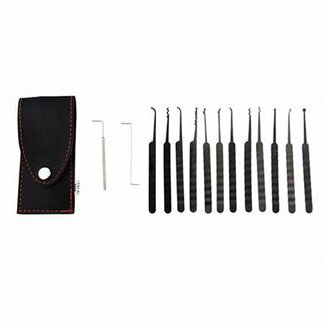 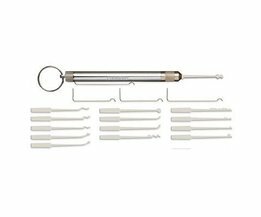 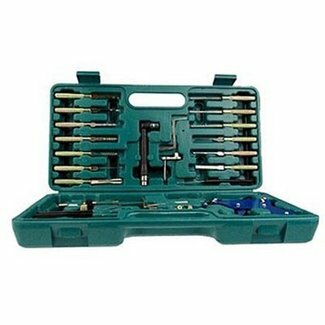 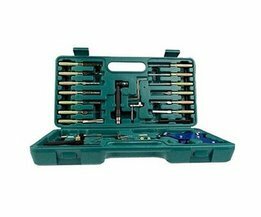 A lock pick set/kit usually consists of picks and tension wrenches. 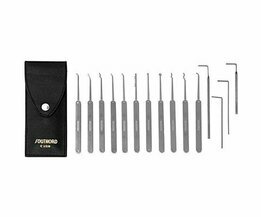 Hereby you pick/hit the individual pins in the lock to subsequently open that lock with the tension tool. 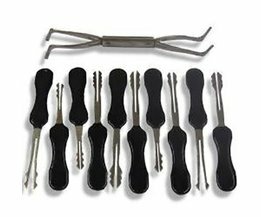 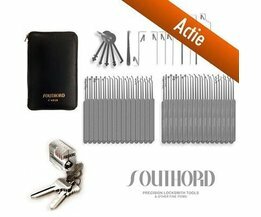 You can find more information about lockpicking tools with individual picks at the free lockpicking info.